Our firstborn just celebrated her birthday. 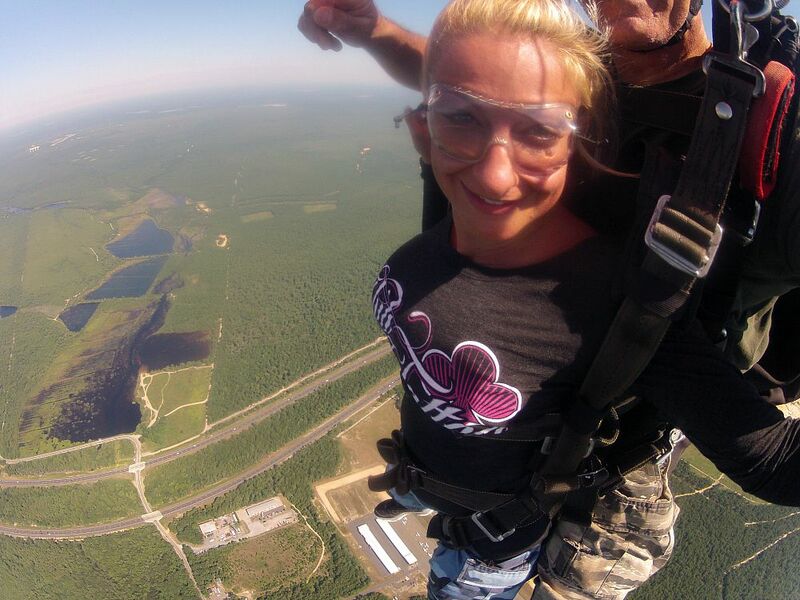 Never one to do anything in a small way, Erin thought jumping from an airplane would be a great way to celebrate. And so she did. 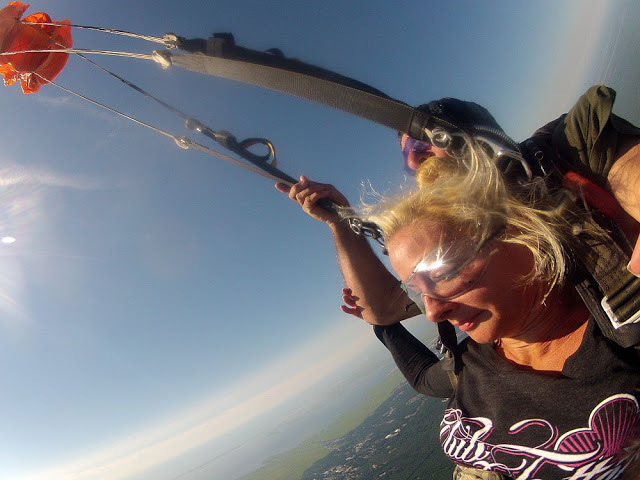 I won’t be jumping out of a plane any time soon so these photos are as close as I get to this exhilarating experience. Thought you’d enjoy them too. all photos were taken by the Skydive East Coast instructor that jumped with her. Tandem skydiving is the most widely used method to introduce first-time jumpers to the sport. 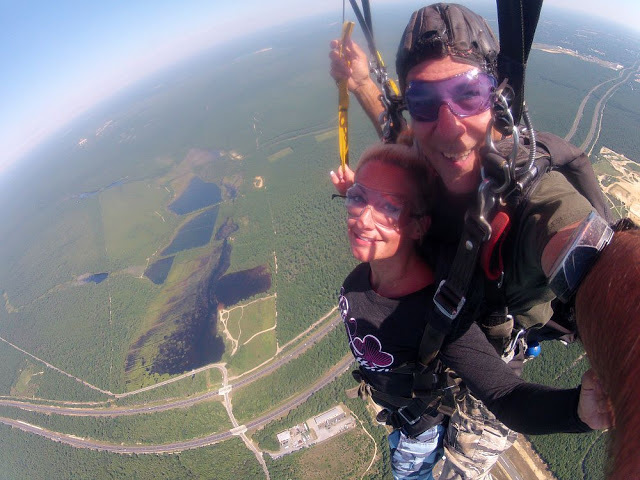 You will be paired with a licensed tandem instructor who will join you on the jump and provide you with all the training you need to safely make a tandem skydive. 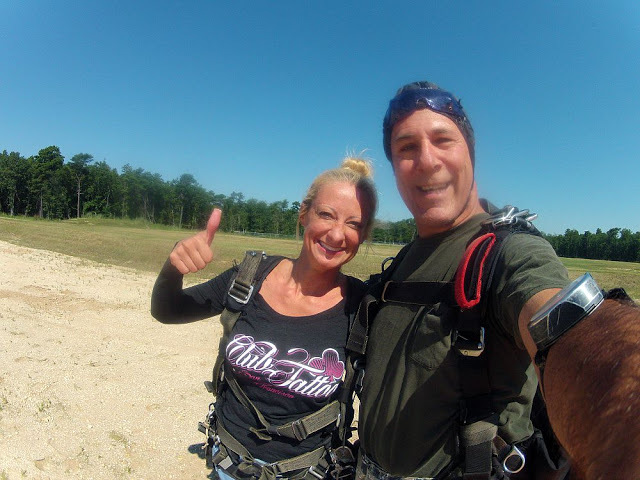 Tandem Instructors cover airplane procedures, what to expect in freefall and how to prepare for a safe landing. On the way to altitude, you’ll have the chance to sit back and enjoy incredible views of the New Jersey coast and Atlantic Ocean. On a clear day, the Atlantic City skyline and Cape May County peninsula are visible to the south, while Long Beach Island and Seaside stretch up the coast to the north. 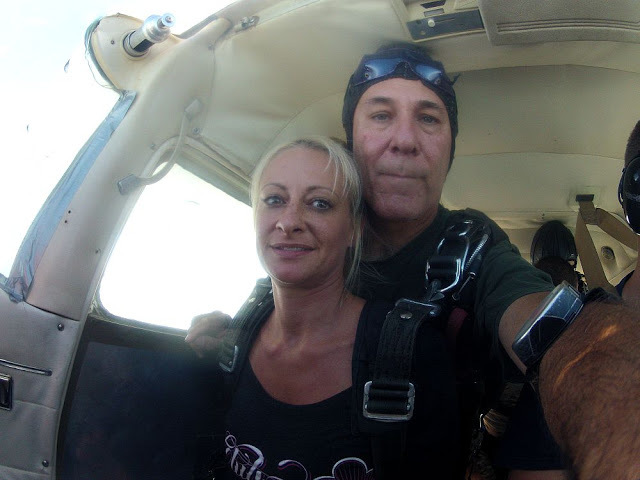 As the time to jump nears, your tandem instructor will securely attach your harness to the parachute system in preparation for the door opening. With your adrenaline pumping, your instructor will guide you to the door for the moment of truth. 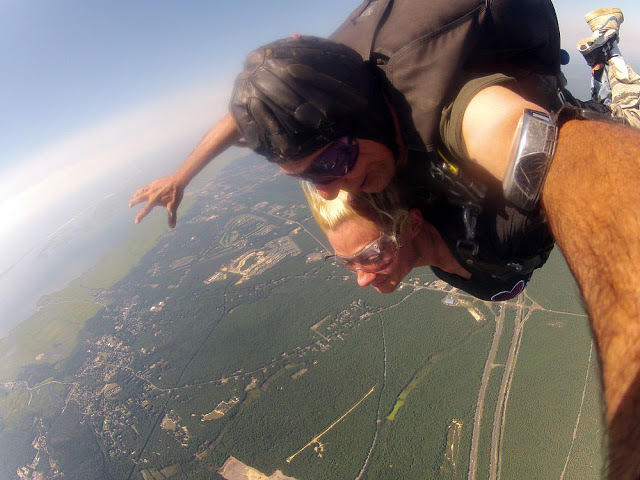 Words can’t adequately describe that first moment after jumping from a plane for the first time as you accelerate to 120 mph. 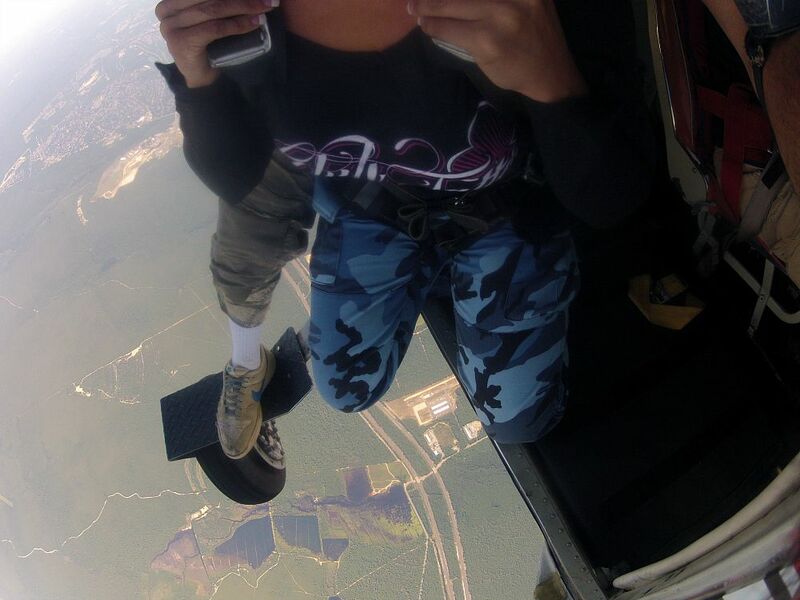 The intensity of the freefall is matched only by the peaceful bliss of the parachute opening and a roughly five minute canopy flight back to the airport. 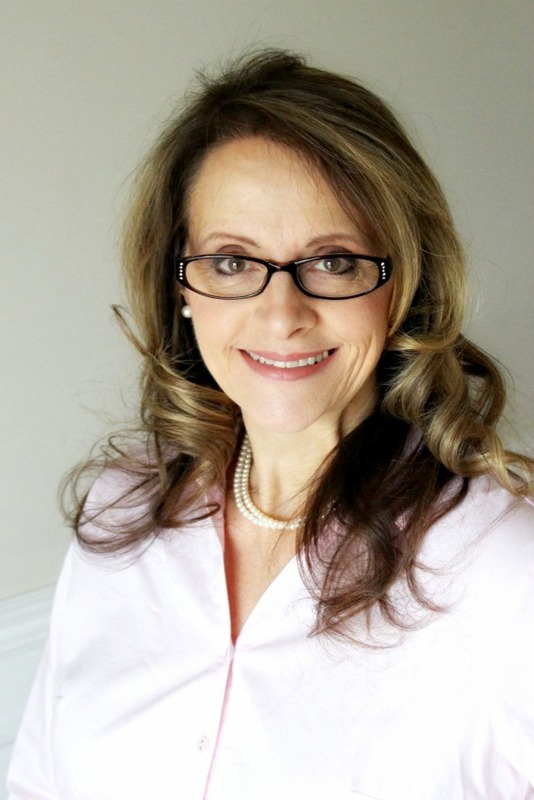 She's beautiful….and so brave. I'm way too fearful to ever do anything like that…wow!!! HOPE she had an awesome birthday! oh! something I'd LOVE to do! Given physical limitations at this time, don't think I can – and I am so jealous! But so HAPPY for you! That looks just awesome! 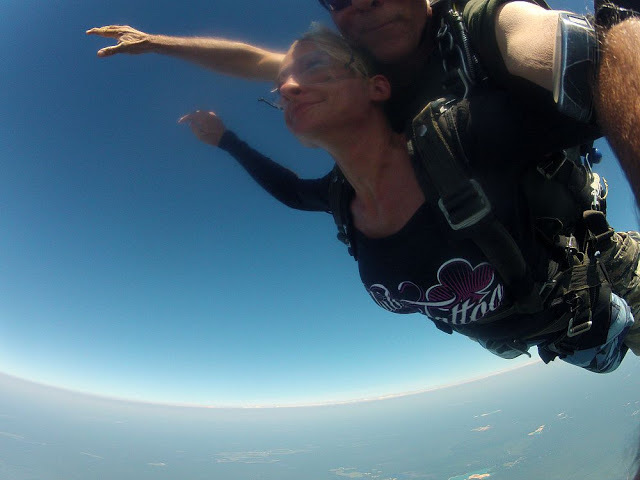 and your play by play here made it real….I could almost feel the adrenaline and that sense of wonder as you plummeted through the sky! Oh, gosh! how thrilling. This is something that I have never ever wanted to do, but a hot air balloon ride sounds just fine to me. Ha ha! Fun! My brother and my Uncle have done that. It looks like she had a wonderful time on her birthday! OMG that was amazing and courageous! Awesome pics too! Glad it was a memorable birthday! You raised a brave girl! I loved seeing the expressions on her face. What I wonder is are all the photos selfies taken by the instructor? I would think the camera would go flying but maybe it is attached. Happy Birthday to Erin…she definitely celebrated in style!! Wow! I cannot imagine being brave enough for this! What a memorable birthday. She looks gorgeous and very peaceful flying through the air!